For me, there's nothing better than digging into a new beauty purchase! 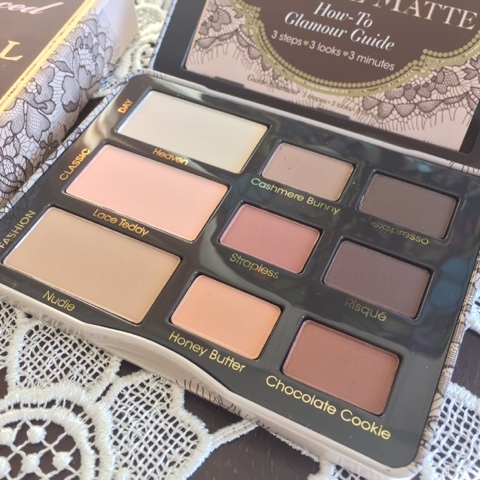 I've been craving a matte eyeshadow palette, and I thought this Too Faced Natural Matte palette would be absolutely perfect. 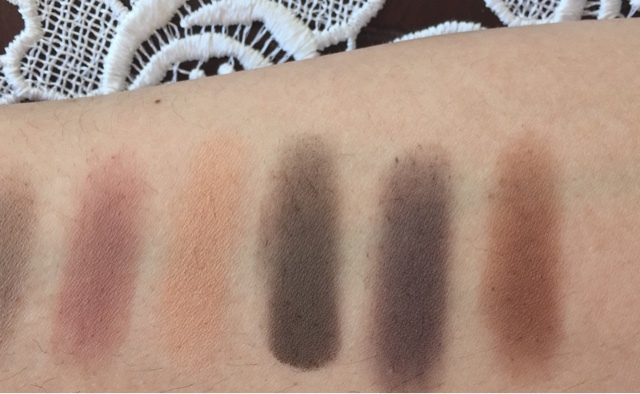 I really love how this matte palette has a great set of neutrals that aren't just white/beige/brown but that have a bit of peach, aubergine, pink and burgundy. I can mix any of them together and they'd look good and so I love how cohesive all the colours are. 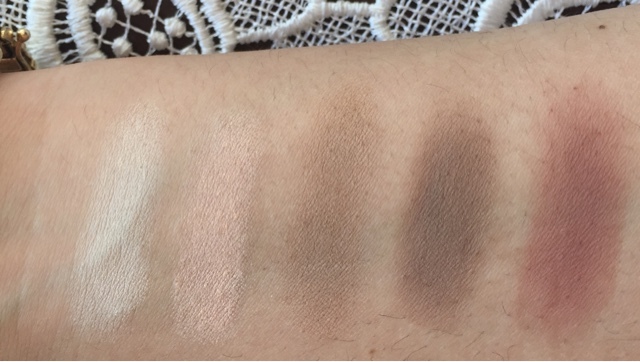 Honey Butter and Nudie are great transition shades and I use Heaven as a highlight shade for the brow bone/inner corner. Sometimes, though, I prefer a more satin or shimmery highlighting shade, and so I'll put out MAC Rice Paper or a light Colourpop shade of choice. So this palette has been sold out intermittently at Sephora and Ulta but I actually scored mine at Sephora as it was the last one left! (I'm definitely trying to up my Sephora shopping so I can get the VIB for 2016 - aaaaand more than happy to do so). You can find it at both online: Natural Matte Palette at Ulta and Sephora. Honestly, so many of these colours are stunning with minimal fallout. The only one I noticed a bit of fallout was Risque, but I think it's because it's so pigmented you can only pick up a light dab with your brush. Lately, I've been loving wearing Honey Butter in the crease with Colourpop's Amaze on the lid. If I want just a matte look, I'll wear Honey Butter in the crease with Lace teddy and Nudie mixed on the lid and Heaven on the browbone. 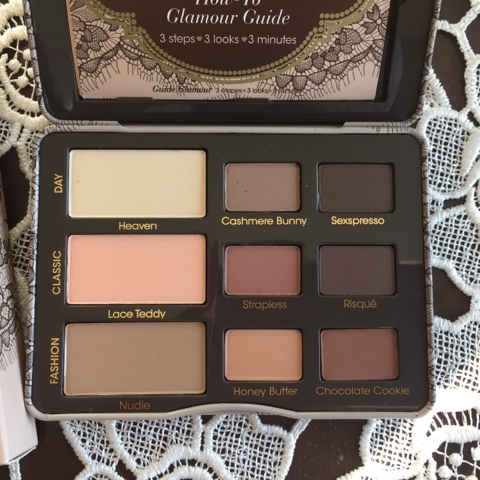 Many makeup lovers compare this to the Tartelette Palette from Tarte, but that one is a bit too mauvey and purpley for me. Plus the price point of the Too Faced Matte Palette is $36 USD whereas the Tartelette Palette is at $45 USD. Who knows, I may still go for it after I get a chance to swatch it! But, for the time being, I was happy to find this one since it's a bit more neutral with undertones of colours. 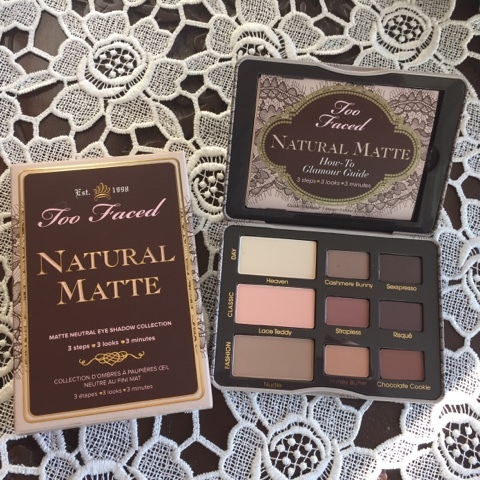 Have you tried the Natural Matte Palette from Too Faced? What's your favourite matte palette?